Sun News TV host Brian Lilley has asked anti-abortion supporters across Canada to support the channel's CRTC application for mandatory carriage. "We welcome the other side of the debate as well because that is what we do, but no one on television in this country gives as much airtime to pro-lifers. We shouldn't let that voice be silenced," he added. 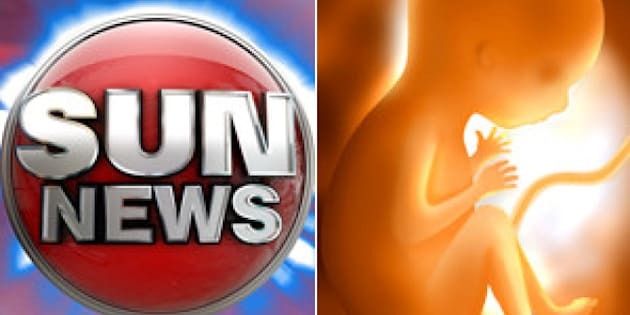 Sun News, which is reportedly losing $17 million a year is in the midst of a "do or die" campaign to get its station added to basic cable packages across Canada. The move would bring in millions in revenue to the struggling news channel but could cost Canadian cable subscribers up to $4 per year. The network has also launched a site, CanadianTVFirst, which allows its supporters to send letters of support to the CRTC website and touts its commitment to Canadian content. Quebecor, Sun News' parent company, has said that its rivals, CBC Newsworld and CTV News Network, both received mandatory carriage when they launched. "Our plan would allow Sun News to establish an audience under similar rules and regulations to those afforded CBC Newsworld and CTV News Channel for 21 and 13 years respectively," the company said in filings to the CRTC. "We don't begrudge our competitors in any way, we simply want the same rules that they enjoyed -- at least for the next five years."